Did you know that one backyard hen can recycle 150 kg of kitchen waste per year AND give you up to 200+ wholesome yummy eggs per year in exchange? Wow! This is just a taste of what folks in the city of Swan are learning about reviving the art of backyard hen keeping. 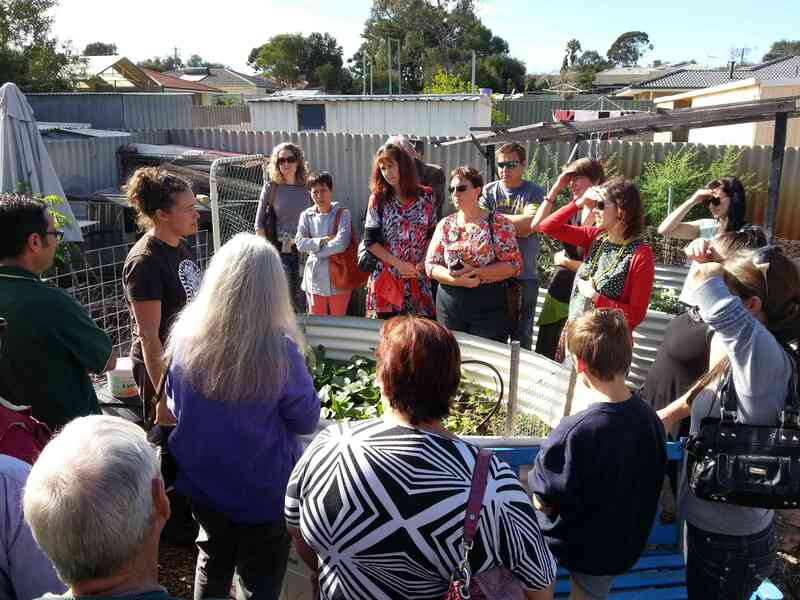 Last week, Transition Town Guildford was very excited to start our pilot training project, ‘Sunny Side Up: Reducing household waste with backyard chooks’ with the support of the WA Waste Authority and Men of the Trees. 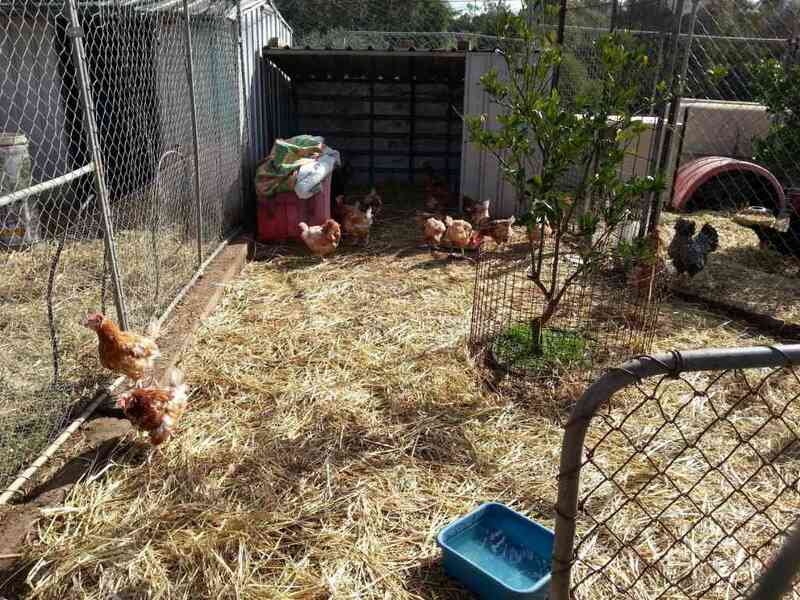 25 novice households from the City of Swan are in the process of learning about What Hens Really Want. Our first workshop focused on the welfare aspects of pen space and design, and how to use recycled materials for construction. Participants learned the difference between commercial ‘cage laid’, ‘barn laid’ and ‘free range’ space allowances, and how this translated into options for welfare-friendly backyard enclosures. Last weekend, we toured the backyards of 4 generous locals with a range of housing types all constructed simply and inexpensively from recycled parts. Everyone is now busy building their own hen houses and pens ready to receive their clutch of 3 project hens next month. This entry was posted in Food, Take Action, Waste & Recycling and tagged Chook pens, City of Swan, Food scraps, keeping chooks, Sunny Side Up. Bookmark the permalink.